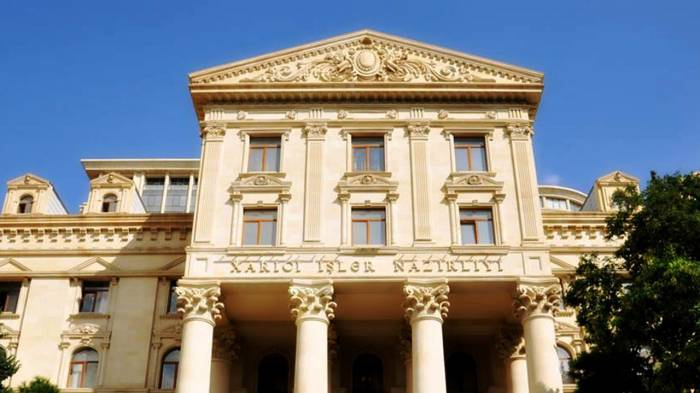 The Ministry of Foreign Affairs of Azerbaijan has issued a statement on March 31 - Day of Genocide of Azerbaijanis, AzVision.az reports referring to the ministry. "March 31 is the Day of Genocide of Azerbaijanis, commemorating the victims of the bloody massacre perpetrated by Armenians against Azerbaijanis in March 1918. While remembering the innocent victims of March tragedy, we strongly condemn the deliberate and continued policy of genocide, crimes against humanity, racial discrimination and ethnic cleansing of Armenia against the people of Azerbaijan and reiterate the importance of ceasing impunity of Armenia to prevent occurrence of such inhumane crimes."